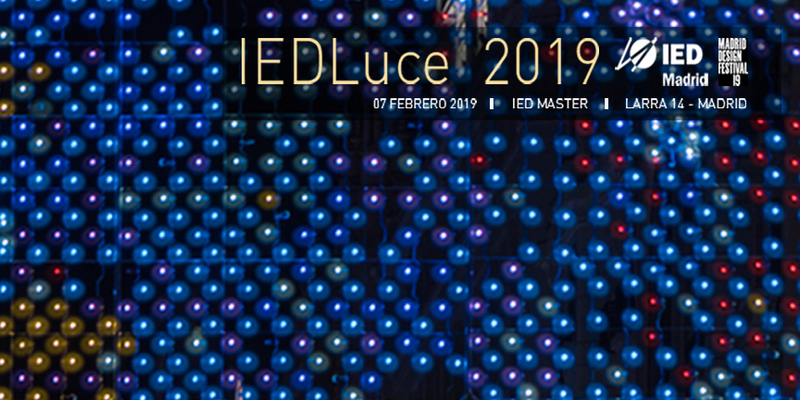 As every year, Lamp's team will be attending IEDLuce, the event that brings together manufacturers, professionals and students within the lighting sector to discover the latest product innovations and new ways of expression through light. This annual event organised by IED Master, APDI (Spanish Professional Association of Lighting Designers) and AAI (Spanish Association of Lighting Authors), will be held on Thursday, February 7, and will revolve around the narrative of light. Access is free and the objective of the event is to make evident the importance of light and its power to tell stories, highlighting the role of the crossroad between poetry and light enabled by new technologies. The boundaries between the various types of lighting are becoming increasingly blurred, and the discipline is gaining in importance. A series of conferences will take place throughout the day, and we once again will be participating as speakers this year. In turn, this edition's special guests are Ben Busche, Light Collective and ReVR Studio, who will be closing the event. As well, and just like every year, visitors will be able to enjoy the stands of the main lighting companies and associations within the sector. If you would like to get more information, click here.